Everyone wants his website ranked on Google.com. Today I will share some of the tips which you can use to Rank your Blog on Google Search Engine but this article is only for blogger.com users. 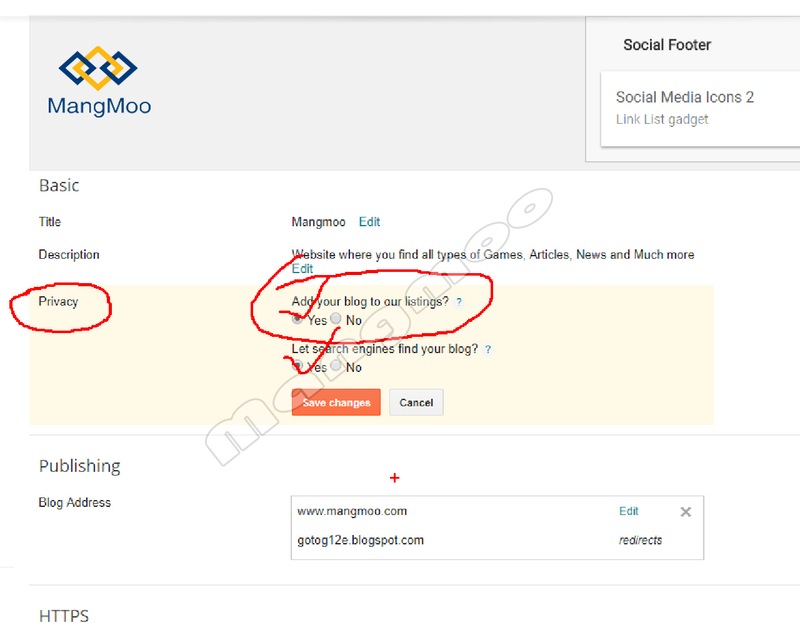 First, you need to enter the description of your site in the description area by Going to Setting and then in Basic Below the title of your blog you will see the area where you can briefly write about your blog. 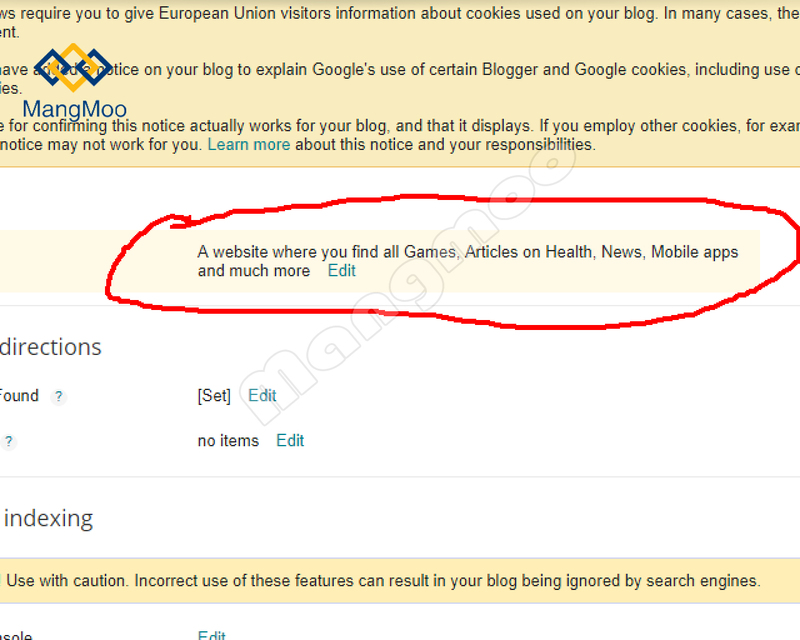 Now below the description you see privacy tab in front of privacy you will see the option of edit click on this option and the first question is add your blog to our Listing Just select yes, the second question is "Let search engines find your blog?" 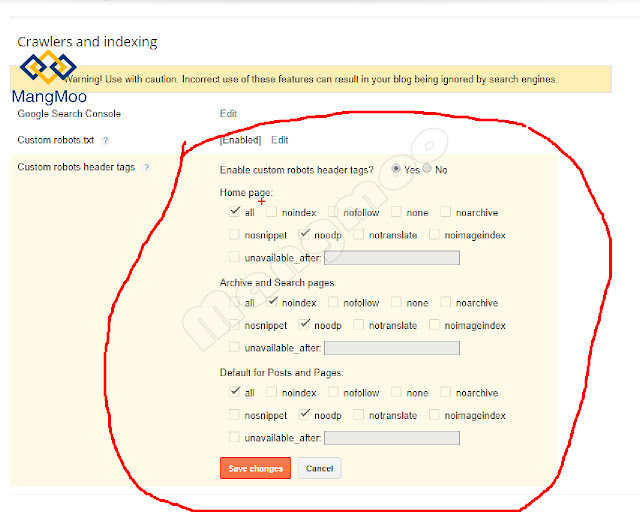 Select Yes and then click on Save. 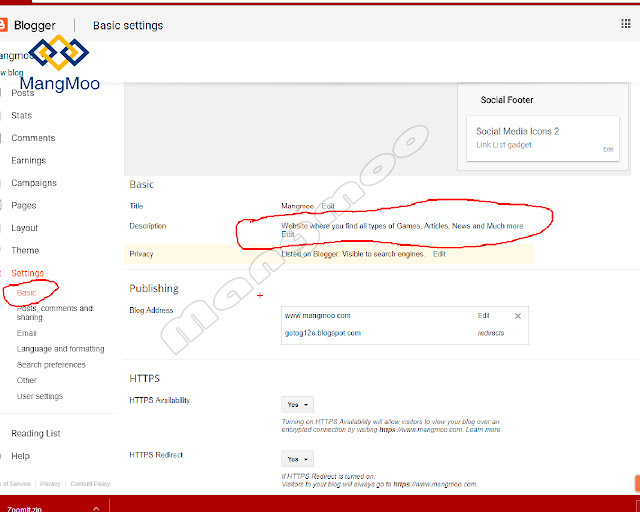 A new page open with too many options, First you see Meta Tags below Meta Tags you need to set description of your blog for ranking because this description helps users to find your blog easily in Google search. write the description of your blog like for example your blog is about News or your are proving Games etc then write in the description you can use a comma to separate two words. 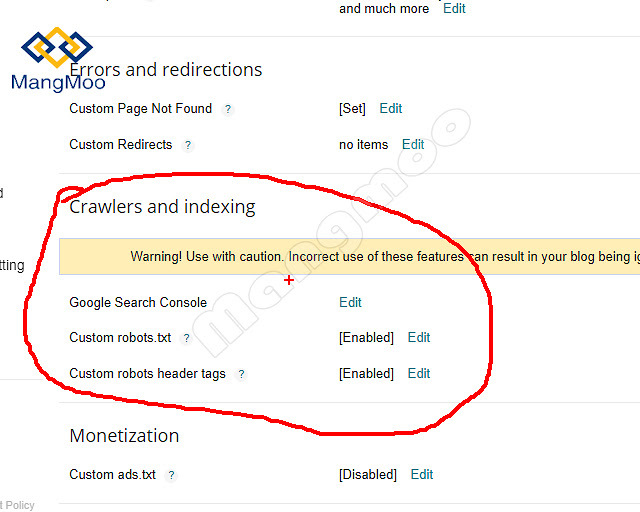 Below Description you will see the option of error and redirections just leave it if you want to set your custom error notification then in front of Custom Page Not Found you will see the option of edit click on edit and set your custom error redirection message. 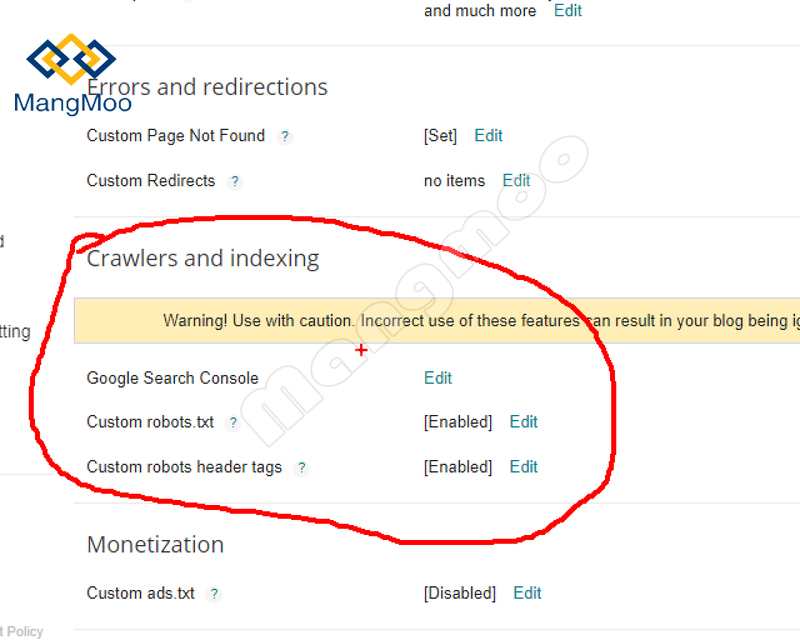 Now you will see the option of crawlers and indexing this is the most important step, First, we need to link with Google webmaster and generate Robot.txt from the webmaster. Submit your Robot.txt by clicking on edit which is in front of Custom robots.txt. 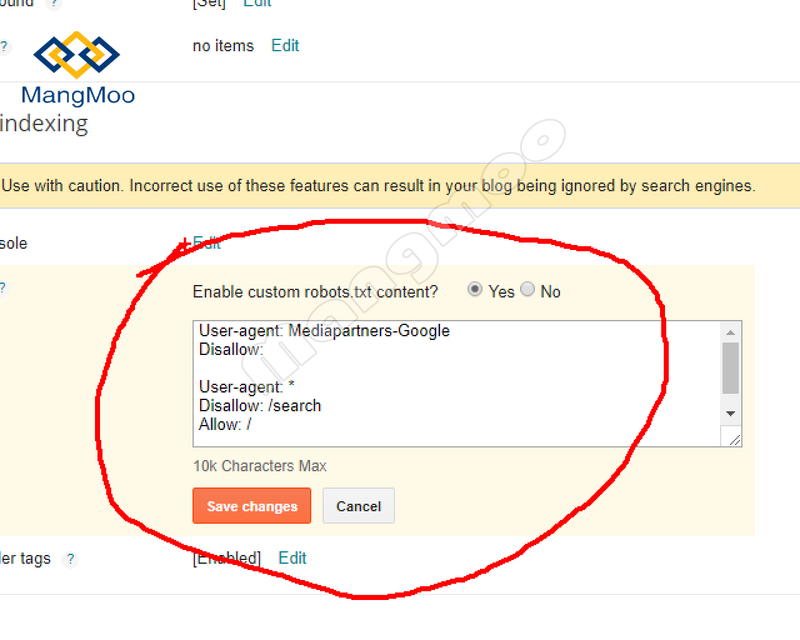 Now we need to set Custom robots header tags, Please remember that incorrect use of these features can result in your blog being ignored by search engines. 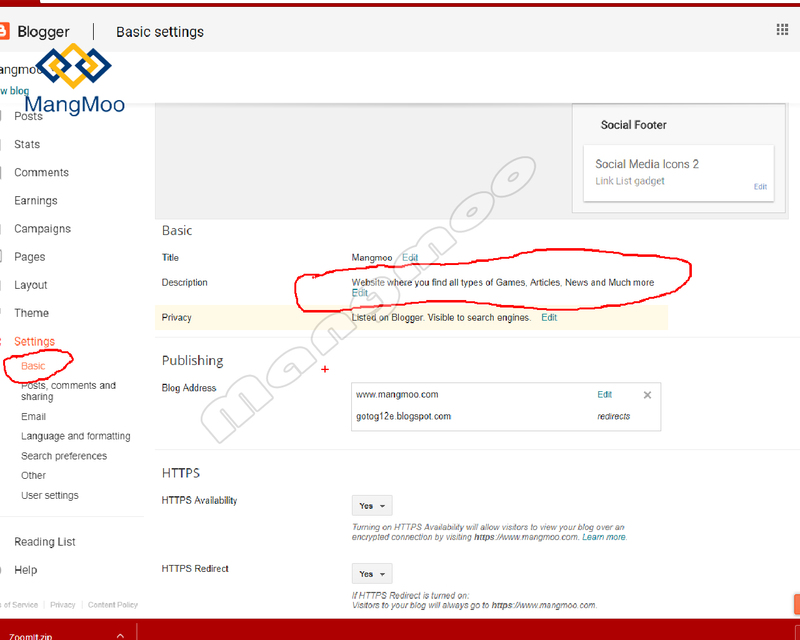 You need to Submit your blog to Google Webmaster tools to get more details about your site, Submit Sitemap and atom in webmasters then they will automatically index every new post which you publish on your site.